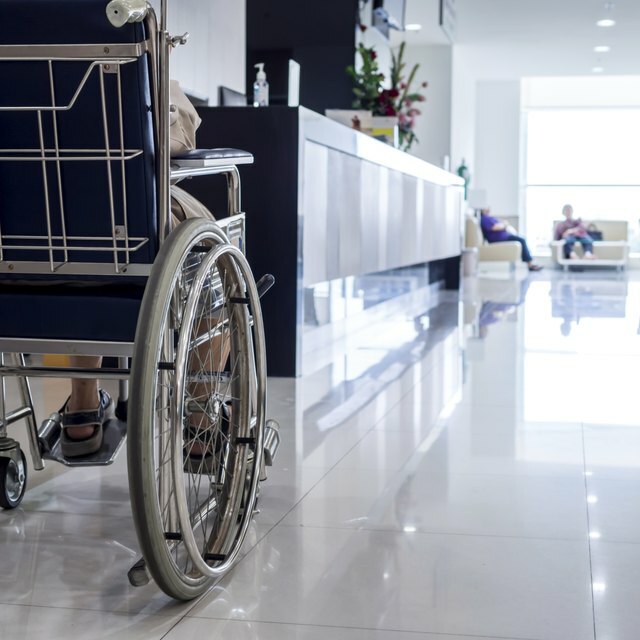 How Do Disabled People Get Health Insurance? Social Security Insurance (SSI) and Social Security Disability Insurance (SSDI) are two programs that are often confused with each other, as they are both known colloquially as "Social Security." The age, medical status, application process, the money that an applicant can expect to receive and the people who can collect benefits are aspects that differ depending on the program. Social Security Insurance is available for adults who are age 65 or older, blind or otherwise disabled. It is also available for children who are blind or otherwise disabled. A qualifying individual must have limited income and resources. An individual cannot have in assets or savings an amount greater than $2,000.00. If married, this individual cannot have in assets or savings an amount greater than $3,000.00. The spouse’s income will be factored in when determining eligibility. Social Security Disability Insurance is available for individuals who have physical or mental impairments that prevent them from working for 12 months or more. To be eligible for SSDI, you must have worked. In 2012, a worker earns one credit for each $1,130 in earnings, up to four credits per year. Most people need 40 credits to qualify for benefits. SSI is funded by the U.S. Treasury through personal income taxes, corporate taxes and other taxes. SSDI benefits come from the FICA tax that an employee pays to the government through payroll. The maximum federal benefit amount for a person who receives SSI is $698 per month for an individual and $1,048 for a couple, as of January 2012. The state may supplement the federal maximum with an additional amount. The amount of benefits a person can receive under SSDI depends on work earnings, up to a maximum of approximately $2,300 per month. How Long Do I Have to Work to Be Eligible for Disability Guidelines? To apply for Social Security Insurance, an applicant must contact the Social Security Administration. Many of the forms that are needed are later completed by a representative from the Social Security Administration. The applicant makes an appointment to file an application within 60 days of the call. There is no waiting period for SSI benefits. SSDI applications are often complex and might require that you submit information, such as medical records and treatment dates from your doctors, lab results, contact information for health care providers, and the names of the employers and job duties you have had for the last 15 years. There is a mandatory five-month waiting period for SSDI. A person who is approved for SSI will immediately receive Medicaid benefits. Medicaid is a government program that pays health care providers for treatments and for some prescription drugs. Medicare is available for individuals age 65 or older and many individuals with disabilities. A person who receives SSDI will be eligible for Medicare after receiving 24 payments of SSDI. Individuals who receive the medical insurance Part B form of Medicare have their checks deducted by $99.90 for the standard monthly premium for this insurance. SSI recipients are the only individuals who can receive payments. However, a disabled person's spouse and child dependents can receive partial dependent benefits. DisabilitySecrets.com: What Is the Difference Between Social Security Disability Insurance (SSDI) and SSI? Social Security Disability Resource Center: What Is the Difference Between Social Security Disability and SSI? AARP: What's the Difference Between SSDI and SSI?